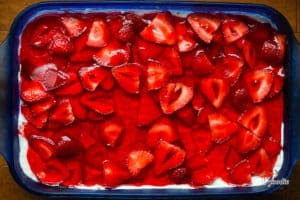 Strawberry Pretzel Dessert is the ultimate summer dessert, especially when you’re looking for something sweet to take to potlucks! 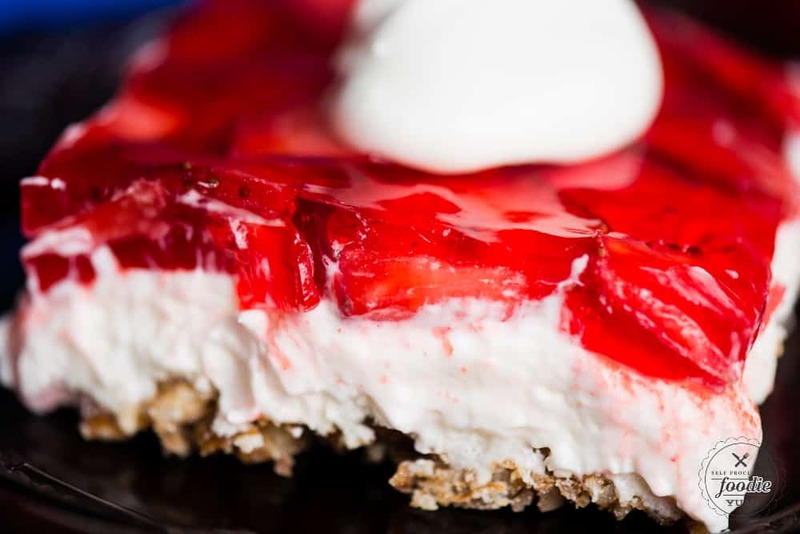 This tasty treat consists of a sweet pretzel crust, topped by a creamy layer, and finished off with a layer of fresh strawberries set in strawberry jello. 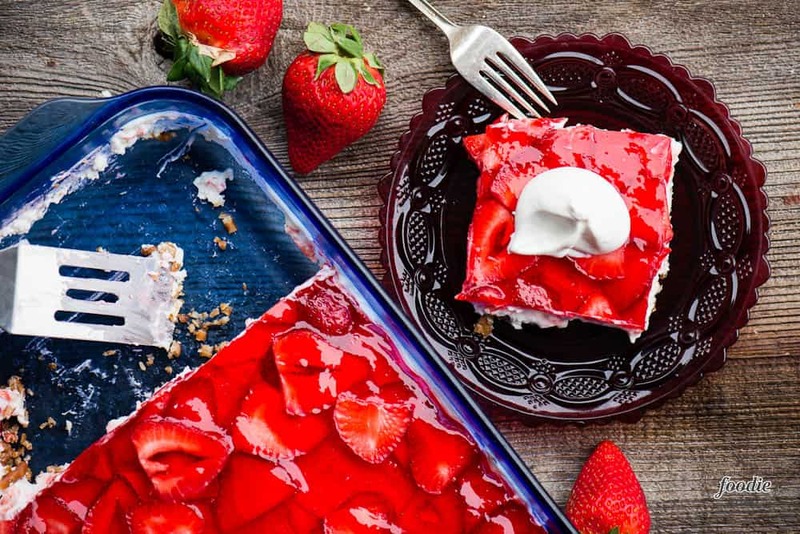 Strawberry Pretzel Dessert is the ultimate summer dessert, especially when you're looking for something sweet to take to potlucks! 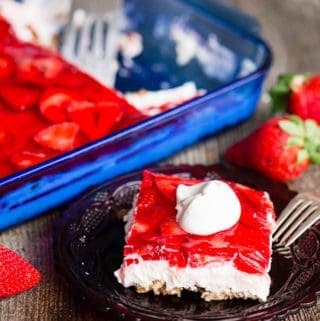 This tasty treat consists of a sweet pretzel crust, topped by a creamy layer, and finished off with a layer of fresh strawberries set in strawberry jello. Preheat oven to 400°F. Grease or parchment line a 9x13 baking dish. Stir together crushed pretzels, melted butter and 3 tablespoons granulated sugar. Mix well and press mixture into bottom of prepared 9x13-inch baking dish. Bake 8-10 minutes, until set. Set aside to cool. 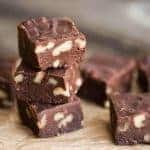 In a large mixing bowl cream together cream cheese and white sugar. 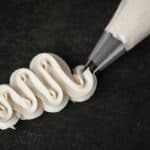 Fold in stabilized whipped cream. 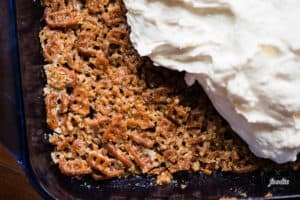 Spread mixture onto fully cooled crust. 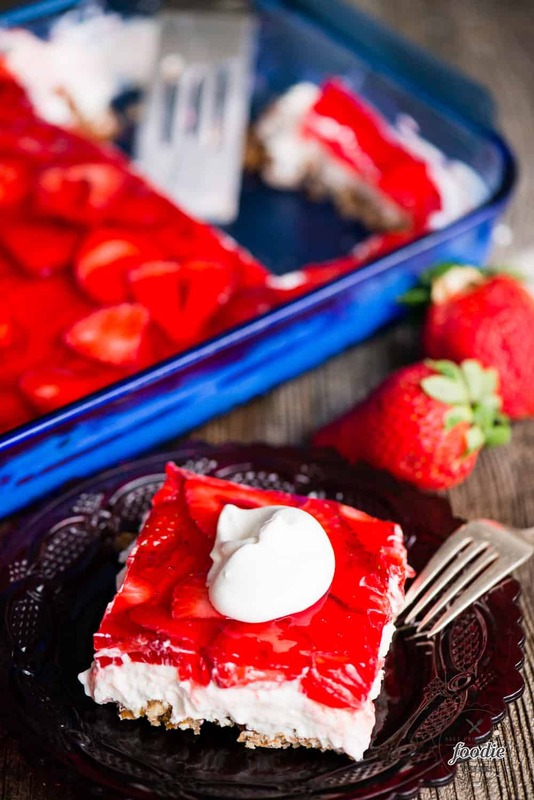 To avoid a soggy crust, just be sure the creamy layer reaches all edges of the pan. 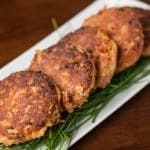 Set in refrigerator for at least 15 minutes. 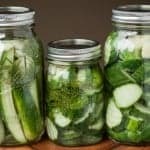 This post was originally created for Centsless Meals where I’m a contributor and has been updated with more fun facts and tidbits for your reading pleasure.